Along the Adriatic Sea on the Dalmatian Coast sits the beautiful city of Dubrovnik, Croatia. A bustling seaport in Medieval times and a popular cruising spot today, the city boasts amazing coastlines and sparkling sapphire waters. 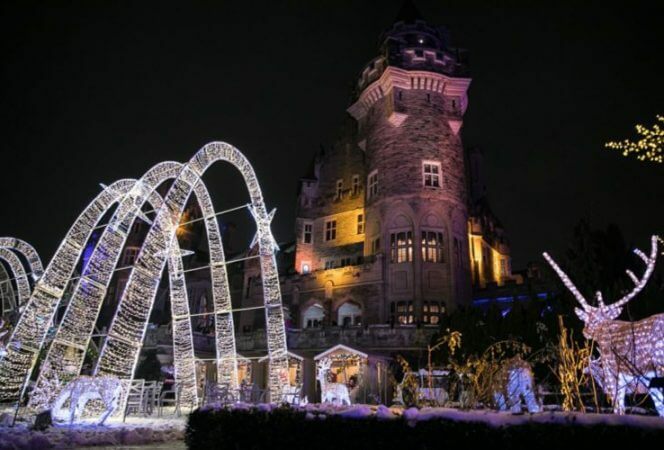 Well-preserved historic sites stand tall amidst fierce walls and an array of museums and cultural events celebrate tales from centuries past. Friendly residents invite visitors to indulge in their fabulous fresh food and savor the warm Mediterranean climate. This welcoming city offers over 250 days of sunshine a year. Dubrovnik seduces and charms, and with tourists unable to hold back, it is no longer the Mediterranean’s best kept secret. 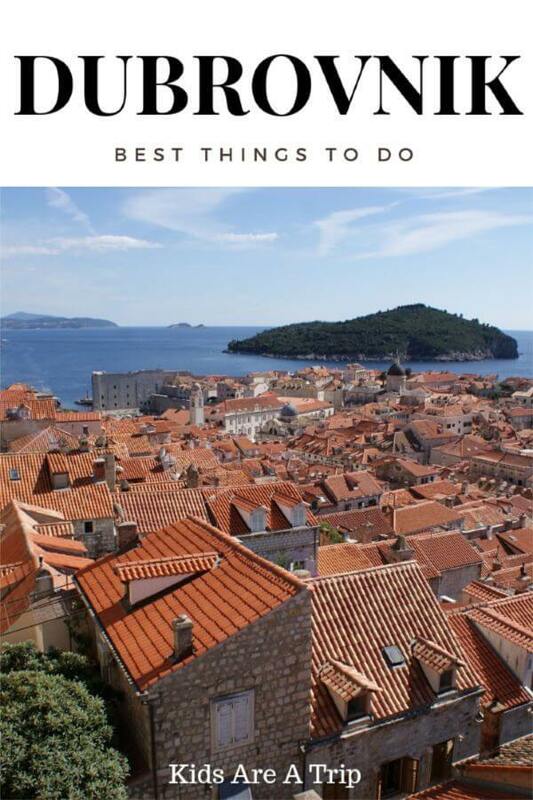 Don’t let that keep you from visiting, here are the best things to do in Dubrovnik. Surrounded by medieval walls that have stood the test of time, this pedestrian-only marble paved town is a living museum. There are treasures of Baroque, Renaissance and Medieval palaces and churches on every corner. The main street known as Stradun is the favorite walkway for tourists. Filled with restaurants, entertainers, shopping, and a weekend farmer’s market, this is the pulse of Dubrvonik. Make sure to rub the nose of the statue of Marin Drzic, the Croatian playwright and poet. The statue sits outside the Rector’s Palace in the Old Town. Touching its gold nose is said to bring good luck. Head for Stradun first to get a feel for the city. Don’t miss the sweet shops! No trip to Dubrovnik is complete without a walk along the city walls that meander around the Old Town. About 1,940 meters long and a two-hour journey, this provides a glimpse of Dubrovnik from a completely different angle. From the highest point there are views of the the Adriatic, the red-tiled roofs of the city, and the maze of medieval streets. Take a self-guided walk or buy tickets for a group tour and hear stories about Dubrovnik’s 1,400 year history. This 18th century Baroque church stands in the center of the Old Town. It is crowned with a gold dome and a towering statue of Saint Blaise, the patron Saint and protector of Dubrovnik. It is noteworthy that during the fire of 1706 the old church was destroyed. The only thing that survived intact was the gold-plated statue of St. Blasius, which adorns the altar to this day. The wide staircase outside the entrance of the church is a popular spot for weary visitors to rest, bask in a sacred place, or just watch the crowds. The church is beautiful day and night. Operating continuously since 1317, the pharmacy, along with the monastery, is one of the oldest in Europe and a must-see for every tourist. Founded as an in-house pharmacy for Franciscan friars, it was later introduced to the public beyond the town’s walls. Glass cases display rare manuscripts, pharmaceutical manuals, secret elixirs and local wild herb remedies. With the wonderful herbal scents seducing visitors to their doors, it is difficult to leave without purchasing some mementos. 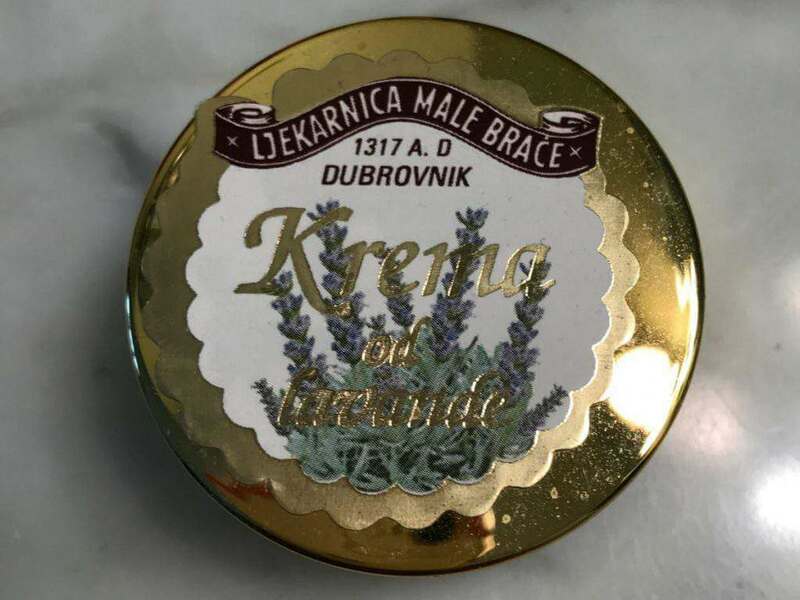 Popular products are the aqua lavandulae cream, rose oil, cold pressed almond and olive soap, and of course, the bergamot oil and cocoa butter wrinkle-proof cream. Soaring high above the Stradun, the Bell Tower is a magnificent landmark. Recently opened to visitors, climb up to see two bronze statues known as Maro and Baro. They strike the bell on the full hour, repeating the strike after 3 minutes and a single clang on the half hour. Each blow propels hundreds of pigeons into the air which is quite a sight. Dubrovnik’s famous bell strikers have now turned a tint of green from the salt air and are aptly called the green men. Glide up to the top of Mount Srd, once home to Napoleon’s Imperial Fortress and a strategic vantage point for centuries. The ride takes less than five minutes and provides breathtaking panoramic views. From here there are views of the Old Town and its massive walls, the beautiful Adriatic, nearby islands, and even a glimpse of Bosnia and Herzegovina. Spend time up on the mount and visit the big cross. Enjoy a drink and incredible food at the Panorama Bar and Restaurant. It’s even possible to book a dune buggy tour through the rugged landscape. While the choices are many, the star attraction is the magnificent view. This is the perfect spot to fully understand the rich history and deep beauty of Dubrovnik. Promising to thrill both avid fans and curious spectators alike, there are many Game of Thrones tours to choose from. Walking tours throughout the historic city center introduce where famed scenes took place. The famous walls, fortresses, and churches of Dubrovnik all pose as spectacular backdrops to the mighty battles and brave heroes of the epic TV series. Another option is a cruise on board Karaka, the ship used in filming the series and quite the ultimate experience. 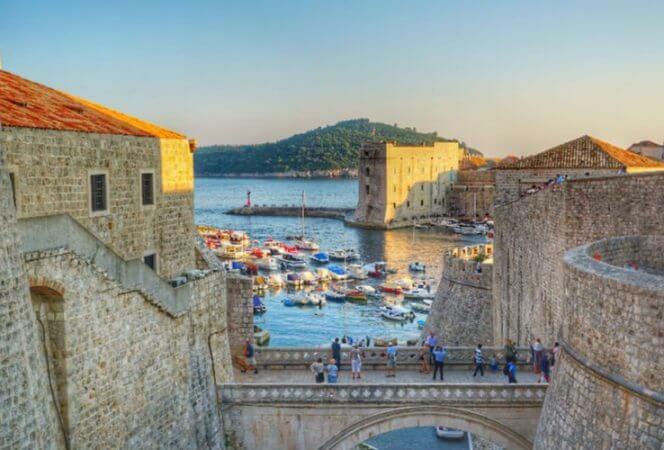 When sailing into the fantastical world of Game of Thrones, the guide shares interesting facts, exciting stories, and insider tips from the filming in Dubrovnik and introduces the legendary King’s Landing. There may even be an opportunity to adorn costumes, play dress up, and feel like a GOT hero or villain. 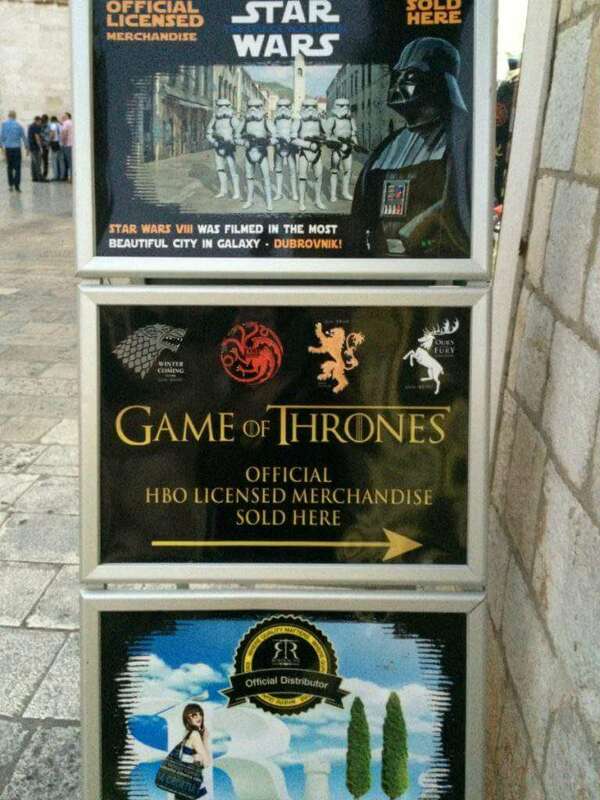 Official GOT merchandise is available for purchase throughout the city. Winter. Is. Coming. Game of Thrones is everywhere! Lokrum was apparently shelter to King Richard the Lionheart while he was shipwrecked during the Third Crusade, but today it is a favorite excursion spot. Lokrum sits on the water with gorgeous views of Dubrovnik on one side and the open sea on the other. A quick taxi-boat ride from the Old Harbor, it is a nature reserve that is home to exotic gardens, olive groves, swimming holes and an abandoned 12th century Benedictine monastery. More adventurous souls can visit Lokrum via a kayaking tour. Take a dip in the Dead Sea, a small salt-filled lake just 10 meters deep and surprisingly easy to swim in. 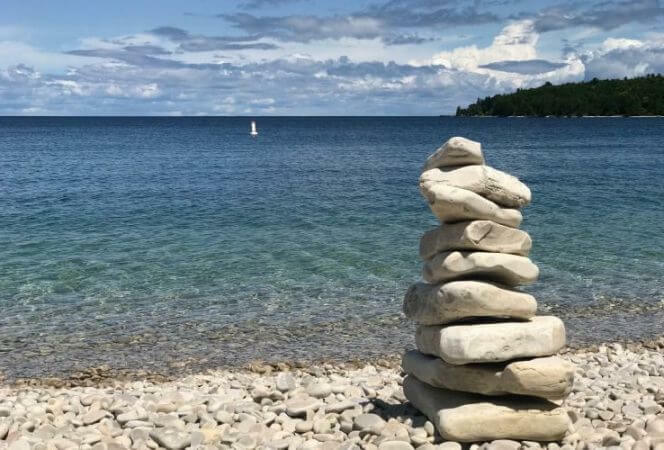 Without hotels or the commotions of a city, this idyllic spot is filled with sunbathers, the scent of pine and sea salt, and peacocks, one of its only inhabitants. According to legend, the Lokrum curse, which took the lives of those who tried to make Lokrum their home, is still alive today. As soon as dusk falls, visitors depart the island and head back to the city. Lokrum is a quick boat ride away. 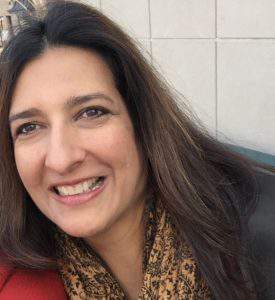 This post was written by Kavi Mirchandani Larson. She is a mom to four. Wife to one. Collector of experiences in her everyday journey through motherhood, wellness, travel, food, and living abundantly.